Byron Buxton and Miguel Sano were supposed to be the next duo to lead the Twins into contention again. Unfortunately for Twins fans everywhere, the complete opposite happened. Even though they have both shown flashes of their tremendous potential, the pair that was once thought to be next big thing in baseball has become an afterthought over the years. However, with the Twins hiring Rocco Baldelli, it appears that Sano and Buxton will have a fresh start to prove their worth to a Minnesota fanbase desperate for a star player (or two). Rocco Baldelli is a new generation type of coach, which could be essential in the development of Byron Buxton and Miguel Sano. Photo by John Shipley, Twin Cities Pioneer Press. Baldelli’s credentials make him an excellent choice to help successfully lead the youth movement for the Twins. He formerly was a sought after prospect in the Tampa Bay system and even reached as high as the #9 prospect in their organization. He had a decent career, piling up a few successful season for Tampa before ultimately having to retire in 2011 due to injuries at the young age of 29. After his retirement, Tampa Bay kept him on their staff as a Special Assistant for Baseball Operations, where he would remain until 2014, when new Rays manager Kevin Cash made him the first base coach. In 2017, Baldelli was promoted to a newly created role with the Rays, serving as the major-league field coordinator. In this role, he developed a good reputation for his analytical and player development abilities. This new position ultimately led to the former outfielder becoming a highly sought after coaching option for several MLB teams, concluding with the Twins bringing him on as the new manager this offseason. The Twins’ move to ink Baldelli in the manager role has led to a lot of optimism in the Minnesota fan base, as the Twins’ faithful hope that he can steer their once promising duo of Buxton and Sano to their full potential. We have seen flashes of greatness from both Byron and Miguel that still gives us Minnesotans some hope. Buxton is known league wide as one of, if not the best, fielding outfielder in all of baseball. He has incredible speed and agility that allows him to track down virtually any ball in his sightline. The big problem with Buxton is his inconsistency at the plate, where he has time and time again struggled mightily. His inability to stay consistently healthy has hurt him as well, missing a major part of last year’s season. One of Buxton’s biggest issues is his alarming strike out rate, which has consistently been too close to the 50% mark. Even in his best year with the Twins in 2017, where he slashed .253/.314/.413, he still struck out once every three plate appearances. However, he has shown the ability to use his speed to turn potential automatic outs into close plays or even hits, as well as a base-stealing speed that is unmatched. Buxton even finished with a few MVP votes at the end of the 2017 season, won a gold glove, and was named the American League player of week for August 20th-27th. Sano is in a similar place to Buck, as he has shown tremendous potential, but has been plagued by injuries as well as very inconsistent play. Sano was a promising player in debut season with the Twins, as he finished 3rd in the rookie of the year ballot, displaying a huge power bat to go along with some impressive fielding for a man of his size. He finished the year with 25 home runs to go along with 66 runs batted in. The alarming statistic for the Dominican slugger was his strikeout rate, which for Miguel was a discouraging once every 2.5 plate appearances. Sano built hopes up for Twins fans in 2017, when he had a stellar start to the season. 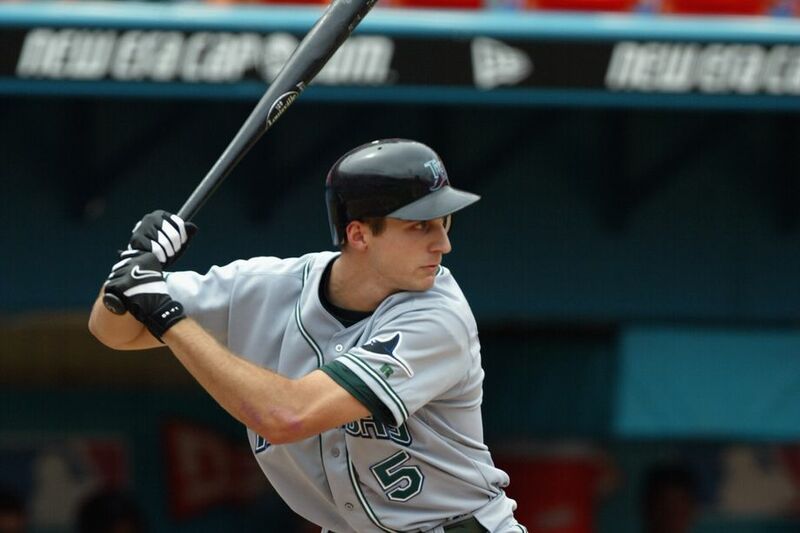 He was named to the All-Star game and participated in the home-run derby, where he finished second. Sano finished the year batting a respectable .264 to go along with 28 bombs and 78 RBIs. Then came 2018. Sano would miss the month of May with a hamstring injury and in his first set of games he hit only .203, which ultimately led to his demotion to Class-A Advanced in Fort Meyers. Sano would finish the year with an abysmal stat line, featuring a batting average of .199 and a power shortage for the slugger, hitting just 13 homers and driving in a career-low 41 runs. Even with his recent struggles, his power tool is outstanding and could still be a force in the Twins’ lineup. The Baldelli hiring could very well prove to be the most impactful for Sano, who is in dire need of some confidence. Baldelli met with Miguel in his hometown of the Dominican Republic, which shows that he genuinely cares about him as a person. Some instilled confidence in his game could be what the young slugger needs to get back on track. When Sano is on his game and seeing the ball well, it doesn’t stay in the park very often. Having this potentially dynamic duo feeling comfortable and confident in the next year is exactly what the Twins need to get back into contention. If Sano and Buxton can even live up to part of their potential and contribute to a new and improved Twins lineup with additions of Jonathan Schoop, C.J. Cron, and Nelson Cruz, the Twins and Baldelli should be right back in contention for a increasingly open AL Central.